PST Enterprise enables IT administrators to regain control over email data stored within PST files scattered across their organization. It can eliminate the risks associated with PST files, as well as reduce ongoing costs and support IT requirements for Compliance and eDiscovery. 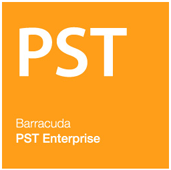 PST Enterprise will discover PST files on network servers and end user systems, and migrate this data to a secure location such as Exchange, Office 365 or Barracuda Message Archiver. 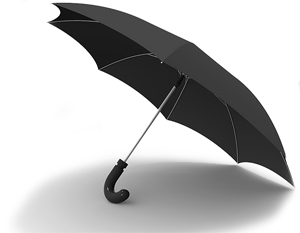 PST files pose a significant challenge to many organizations today. Often used by end users as personal archives for email, they are scattered across end user systems and network storage and are not managed consistently or effectively - if they are managed at all. Because PST files typically do not comply with an organization's information management and compliance policies they also represent an ongoing legal risk and will complicate any eDiscovery processes. Make all information visible and accessible so that in the event of an investigation or litigation, all data across the organization can be searched. Protect against end user data loss or theft by either controlling PST files or migrating the data needed from them and deleting them. Implement robust data retention and defensible deletion policies to reduce costs and ensure compliance with any relevant government and corporate information management policies. Centralizing the information within PST files will help enable discovery and investigative requests. Identify all email stored across the organization currently stored in PST files on network locations or end user devices such as laptops, workstations or USB drives, then manage it appropriately so that it is secure and readily available as needed. Centralizing storage of PST files and backing them up or, better still, eliminating the use of them completely not only helps you to regain control of all your data, it will help reduce the support costs of managing these files which are easily lost or corrupted. Since central IT departments can be unaware of the number and location of PST files, they have no visibility of their content, and there is a risk that unseen data relevant to an investigation or litigation will be overlooked. Centralizing the data, understanding the content, retaining emails of business value and making the information visible and accessible help reduce corporate and legal risk. PST files are notoriously unreliable. They corrupt easily, are easily misplaced and are infrequently (if ever) backed up. 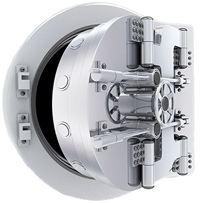 Also highly portable, they can be disconnected from Outlook and copied or moved with ease which represents a significant risk of data being lost or falling into the wrong hands. Regaining control of the information within PST files will help protect against end user data loss or theft. Implementing robust data retention and defensible deletion policies for the data contained within PST files means that you retain only what is actually needed by your business, and all obsolete or redundant data within PST files can be eliminated. As well as reducing costs, this will help to ensure that you are fully compliant across the organization with all relevant government and corporate information management policies. Once all PST files across your organization have been located and the data within them is being managed, it enables you to support eDiscovery and eDisclosure activities by searching this information as needed in response to investigation or legal discovery requests. You can further simplify the discovery process by eliminating these files altogether and migrating their data to a central location or archive. Locate all PST files wherever they exist across the organization by scanning end user devices, network drives and Outlook profiles. Files will be discovered whether they are connected to an Outlook profile or not, and can be accessed even if they are password‑protected. If data is being migrated to Exchange or Office 365, you can choose to migrate to either Primary or Archive mailboxes.